This post is by Sara E. Drumheller, Assistant Park Manager, and Katie Spencer, Education Aide. About a year ago, Historic Oak View County Park experienced a major breakthrough when we discovered the names of eight people who were enslaved on the farm prior to the Civil War. The names of these people were scattered in documents long held by the Wake County Register of Deeds, but recently made available online. 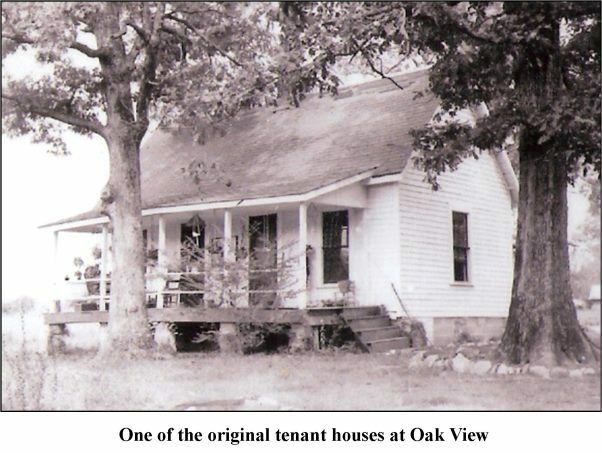 Oak View staff first found the name, age, and record of sale of a woman named Eliza, unexpectedly, when they were searching the database for land records. Prior to this discovery, we knew very little about the people who were enslaved at on the farm and consequently, their lives here were little represented in interpretive material around the park. Our discovery of Eliza prompted a tireless search through deeds associated with the farm to gather as much information as possible. We found the names of 8 out of 12 of the men, women, and children who were enslaved at Oak View: Eliza, Isabella, Walt, Levy, Sandy, Patsy, Sam, and Celia. We then revisited the records that were already in our archives, using our new information to fill in some of the gaps. Names from Census records after the Civil War took on new significance as we found former slaves sharecropping at Oak View, leaving to live in other parts of the county, or in one instance, purchasing a parcel of Oak View land. Eliza appeared with her husband Reddick, who was enslaved on a farm nearby and testified on the Williams’ behalf in their post-civil war plea for reimbursement for losses in the war. This new information not only allowed us to fill out our knowledge of antebellum Oak View, it inspired a more personal approach to our interpretation of the park. We undertook a major genealogy effort in order to connect with families descended from Eliza, Levy, and the others. We learned information about other farms and people who were enslaved there, and we worked with local churches to share that information. In return, the community shared their knowledge of the history of the area. We are now planning a permanent exhibit that will focus on the people who lived and worked on the farm, rather than only the agricultural history of the region. This personal approach is a new chapter In Oak View’s interpretive focus. By putting Oak View people at the center of our exhibit, we will be able to provide visitors with an opportunity to step into their shoes and imagine their lives many years ago. Their stories and experiences are windows into the past; they do not offer a bird’s eye view or a complete narrative, but what they do provide is rich, meaningful, and personal. Posted on July 6, 2012, in Exhibitions, guest bloggers, historic houses, historic sites and tagged Historic Oak View County Park, Sara Drumheller, slave interpretation, slave research. Bookmark the permalink. 1 Comment. Great work staff. Keep up the good work!